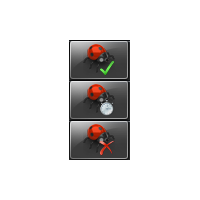 Build status overlay on the Windows 7 Taskbar, visually showing when builds are in progress, completed successfully or failed. To install Build Taskbar Overlay, download this extension and open it. It should install into Atmel Studio. Please make sure you have the necessary version of Atmel Studio installed in your PC.